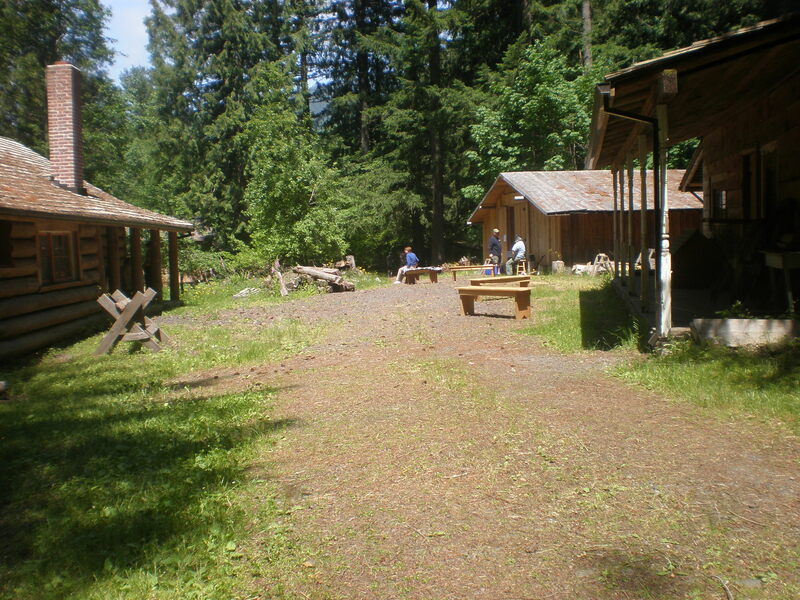 (Sunday) August 7th, 2011~ Noon to 5 p.m.
Take a journey back into time with Cascade Geographic Society in their special living history village known as the “Oregon Country Settlement”. Here, on beautiful Mount Hood and located along the Oregon Trail, the sights, sounds, and smells of frontier life can be revisited once more as interpreters in period clothing takes you on a unique journey of history and wonderment. Amongst this cluster of protected historic buildings and wilderness shelters, the 1840’s is alive and well. View life as it once was as you visit the “Wilderness House”, the “Trading Post”, the “Blacksmith Shop”, the “Wash House”, the “Spirits House”, the “Parlour”, the “Community House” (school and church), the “Cook’s Shack”, the “Pantry Building”,the “Mess Hall”, the “Carpenter’s Shop”, the “Stables”, the “Hermit’s Shack”, the “Tyee Bear Lodge”, the “Smoke House”, the “Bell Tower”, the “Native American Storytelling Lodge”, and other unique structures. Purchase pioneer foods like Oregon Trail Buffalo Stew and Frontier Biscuits, fire-brewed Barlow Trail Coffee, and hot Mount Hood Apple Cider, listen to great traditional Native American flute and old-time music, Oregon Trail and Native American storytelling, try your skill at throwing knives and tomahawks, and take advantage of our gift shop where Huckleberry Jam and other goodies awaits you along with history and nature books, nickel postcards, and a whole lot more. A great family experience!